1959 Pontiac Catalina Safari pickup. Photos by Jeremy Cliff, courtesy Mecum Auctions. Relatively popular in the prewar years, car-based pickups had all but disappeared from the American landscape when Ford launched its Ranchero in 1957. Two years later, GM responded with the Chevrolet El Camino, which left Pontiac’s general manager, Semon “Bunkie” Knudsen, wondering if the division should develop a ute of its own. At least one functioning prototype was built, later escaping a trip to the crusher when its testing days were done. Restored in 2011, the 1959 Pontiac Catalina Safari pickup — or “El Catalina,” as it’s commonly referred to — crosses Mecum’s auction stage in Kissimmee next January. Harley Earl had suggested a utility vehicle to GM management in 1952, but the idea was rejected in favor of making an existing pickup more “car like,” leading to the launch of the 1955 Chevrolet Cameo Carrier. 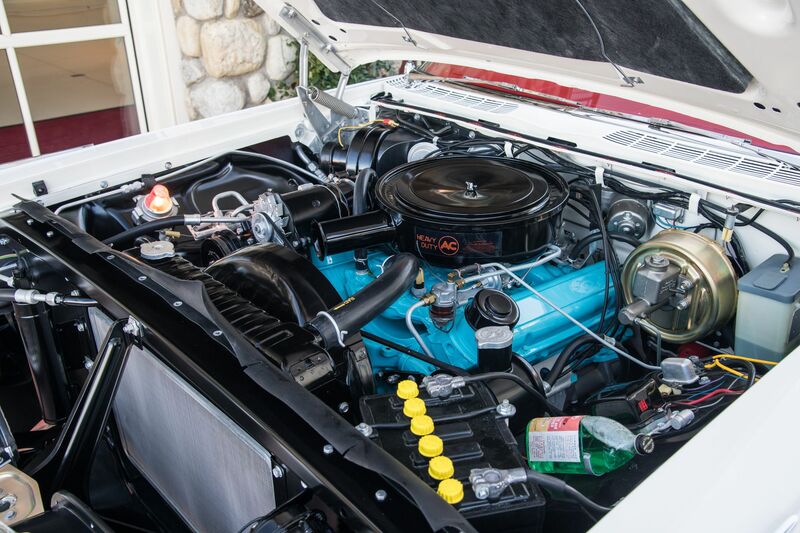 When Ford debuted the fullsize platform Ranchero two years later, GM was left without an equivalent product, and not responding to the blue-oval threat simply wasn’t an option. One question remained — how big would this reawakened segment of the market prove to be? As Chevrolet hastily developed the El Camino from the fullsize Brookwood station wagon platform, Ford sold roughly 21,700 Rancheros in the ute’s first year on the market. While not an overwhelming success, it certainly wasn’t a failure, prompting Knudsen to commission the Pontiac prototype. Developing an all-new model from the ground up for a market this small would not have been cost-effective, but repurposing an existing model was something else altogether. As Don Keefe explains in his book Pontiac Concepts and Show Cars, Pontiac Engineering was tasked with creating a division-specific version of Chevrolet’s ute for testing. 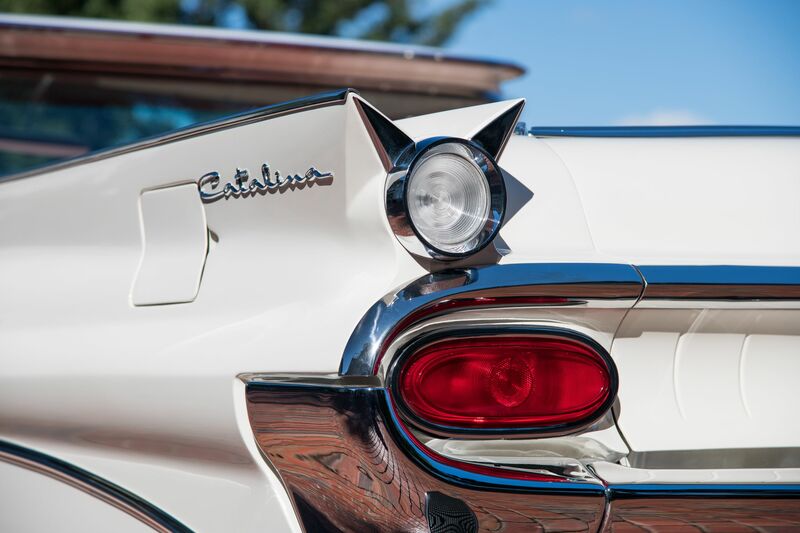 The starting point was a white 1959 Catalina Safari wagon with a red interior and the optional Bonneville 389-cu.in. V-8, fed by a single four-barrel carburetor and rated at 300 horsepower when mated to the Hydra-Matic automatic transmission. First, the wagon body was removed from the frame, which was fitted with a 1959 El Camino cab and bed (Chevrolet’s first all-steel pickup bed). Next, quarter panels were liberated from a Catalina two-door, then grafted onto the bed, which was fitted with a modified Catalina tailgate. 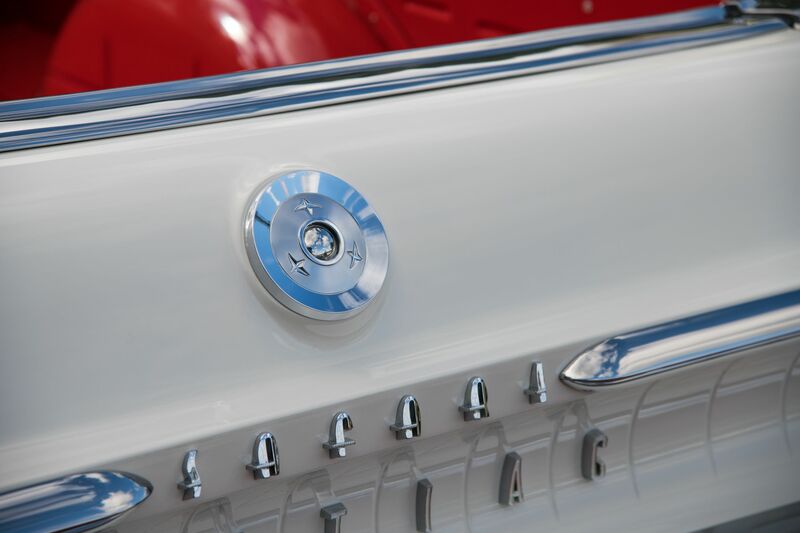 A Catalina bumper and taillamps completed the rear of the El Catalina, and to finish the cab Catalina doors were modified to fit the Chevrolet cab. 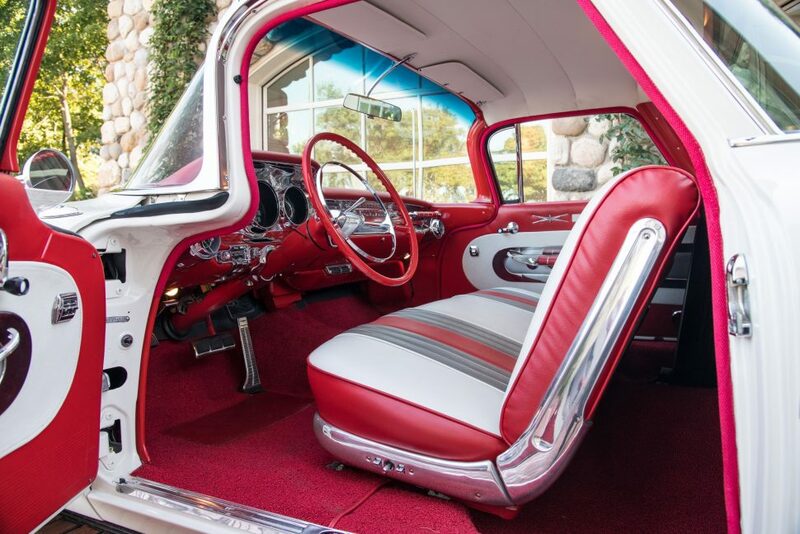 Up front, the sheetmetal from the Catalina wagon carried over, while inside the cab a Catalina coupe front seat was installed along with a Pontiac dashboard. Once completed, the Pontiac Catalina Safari pickup was presented to Knudsen and John DeLorean for evaluation, and both reportedly praised the ute’s construction. 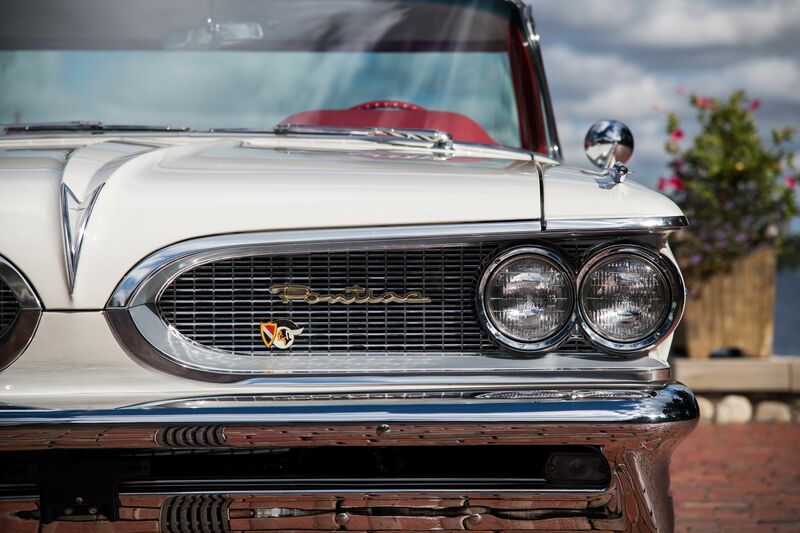 That wasn’t enough to make a business case for the Pontiac model, especially in light of the Ranchero’s disappointing 1958 sales of 9,950 units. In its first year on the market, Chevrolet sold 22,246 El Caminos while Ford sold 14,169 Rancheros, meaning the market that the Pontiac ute would enter for the 1960 model year was sized at roughly 37,000 units in total. Such a small volume didn’t warrant two GM divisions producing comparable products, particularly when the Pontiac could potentially pirate a percentage of sales from the Chevrolet. There was the division’s image to consider as well, and Knudsen didn’t think a car-based pickup would play well to an audience focused on performance over practicality. With little to gain and much to lose, Knudsen ended the Catalina Safari pickup project. It turned out to be the correct decision. In 1960, Ford revised the Ranchero, building it atop the smaller Falcon platform, and sales grew to 21,027 units. Chevy’s fullsize El Camino, on the other hand, proved a tough sell, and after building just 14,163 examples for 1960, Chevrolet (temporarily) pulled the plug on the model. Like its Ford rival, it would reappear on a smaller platform (the Chevelle) but not until the 1964 model year. Ordinarily, that would have been the end of the El Catalina’s story. Reportedly, the ute was scheduled to be sent to the crusher, but a need for a parts truck at Pontiac’s retail store intervened. For the next decade, the prototype Pontiac was pressed into delivery service, racking up over 100,000 miles in the process. In 1969, the El Catalina was issued a salvage/assembled car title before being sold to Jimmy Douglas Auto Sales in Pontiac, Michigan. In May 1969, it was purchased by Darrel Lotridge, who’d admired the one-of-a-kind Pontiac since first spotting it at the Pontiac Retail Store Parts Department in 1960. Nine years later, it was in need of a comprehensive restoration, and the ute joined a series of other projects that Lotridge already had in progress. Four decades later, it still wasn’t complete, and Lotridge sold the Pontiac to collector Tom Girrard in 2008. There was nothing standard about this car. It used a station wagon gas tank, a Safari frame, convertible quarter panels, and the floorpan was altered to fit the chassis. In addition, we found that there were massive changes to the cowl in the area of the steering column, and there was a lot done to accommodate the drivetrain. There’s no VIN, just a boday tag and an engineering serial number. The body tag reads 2180, which really does not exist in Pontiac books. The first two digits decode directly to Catalina, but the last two are the GM code for the El Camino. White’s hard work was rewarded at the 2011 Pontiac-Oakland Club International’s national gathering, where the El Catalina scored a perfect 400 points and earned a Best of Show trophy. Since then, it’s collected AACA National 1st, National Senior, Grand National 1st, and Grand National Senior awards, as well as the Otto Rosenbusch Memorial Award – Spirit of the Automobilist at the 2014 Concours of the Americas. The El Catalina is set to cross the block in Kissimmee, Florida, on Saturday, January 12, 2019. For additional details, visit Mecum.com.